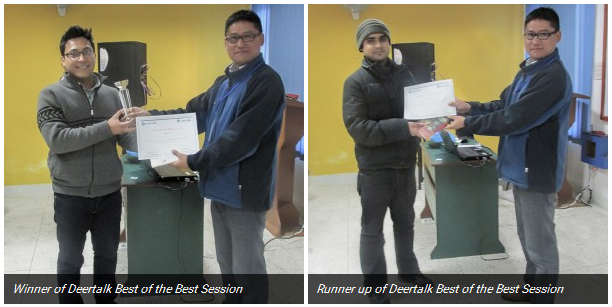 Deertalk Best of the Best 2014 was held on Jan 5, 2014 and the participants comprised of the best speakers from the last five Deertalk seasons of the year 2014: Abhinav Regmi, Abhinayak Swar, Bibek Lal Shrestha, Ganesh Regmi, Neelam Shrestha, Resha Sedhai and Sunita Singh. 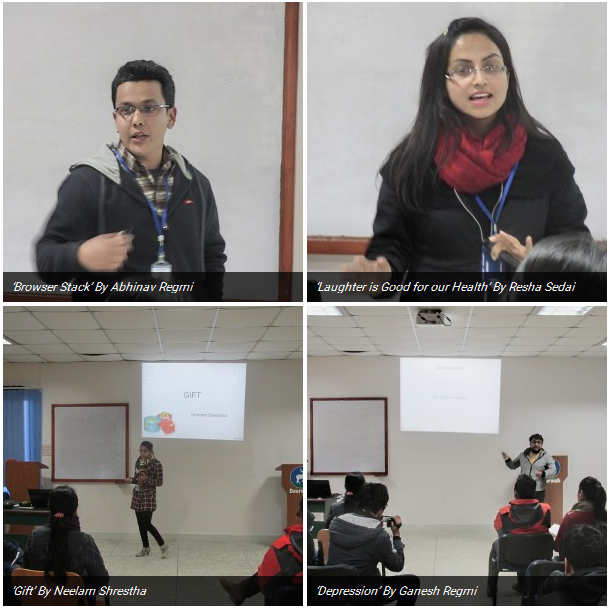 The contestants were asked to present on a topic of their choice with a five minutes allocated time. Abhinayak Swar Why should we all play? Bibek Lal Shrestha was voted the winner with his insightful, comic and thoroughly entertaining presentation on Deerwalk 2014. He recounted the most important events of the year in the company in a very fascinating way and the audience could not help but cheer him throughout the end of his speech. 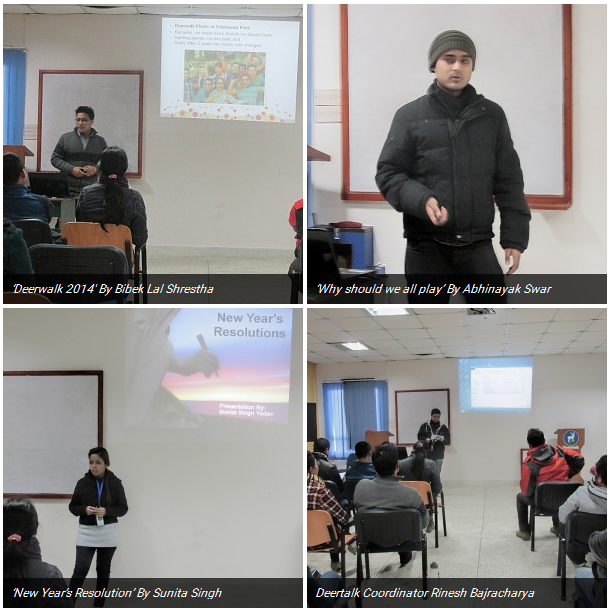 Abhinayak Swar provided earnest presentation on music and its various connotations to people that play and listen to its genres. Other speakers were amazing in their own ways as they stamped their authority when they took the stage. Thus the Deertalk year of 2014 was capped off with splendor as the finale session lived up to its billing. Deertalk has always provided the stage for self expression with the usage of English language; the result of which has been the more confident and self-assured employee body that drives the company forward.